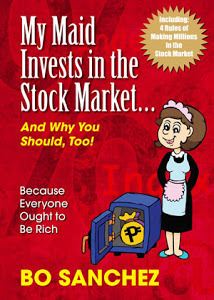 A friend of mine working abroad from other country, an OFW asked me, "How can I join the Truly Rich Club of Bo Sanchez?" 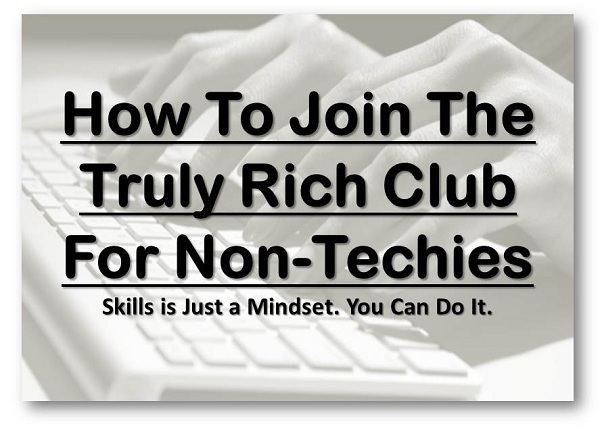 I told her, go to the Truly Rich Club website (www.trulyrichclub.com) and just follow the instructions there. Instead of following the instructions she replied to me and said, "I am not techie, can you do it for me?. I replied and said, "There are needed information there like credit card account information in case if you want to auto debit your monthly subscription via credit card. Unless you will trust me and share me your credit card account". I understand but I still insist and told her, she can do it." I have credit card but I preferred using the second option, through bank deposit. You know why? Because of the discount. Once you pay it in advance you get 10% (for 6 month equivalent subscription) to 20% discount (one year). Well, It's still up to you. You can use your credit card to eliminate hassle of going into the bank for your subscription fee. If you want auto renewal or auto payment, try using your credit card. Gets? Hope this tutorial help you too. To close my story, my OFW friend joined the Truly Rich Club and follow my simple instruction. You can also share this tutorial to your non-techie friends (just in case) haha. How about you, Do you want to learn more about financial abundance? hi...i used my credit card for subscribing so it will automatically renew?? what if i dont want for it to renew automatically??? whhat should i do?? I suggest you email TRC support through this email- billing@bosanchezmembers.com, you can inform them your concern. Btw, I used to subscribed using my credit card before and I just informed them I wanted to stop automatic payment and pay it through BDO deposit instead (just to avail the discount).